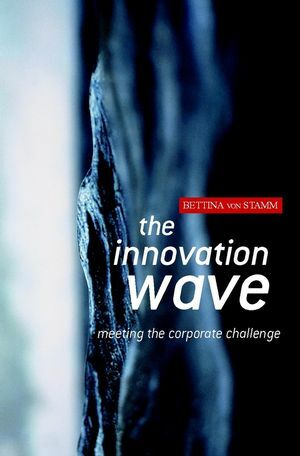 Focusing on the future challenges companies face in being continously innovative, this book is based on a combination of world class talks given at the Innovation Exchange (IE) conference in November 2001. Through interviews with various companies, the book identifies the best and worst practices in innovation strategy. Three main topics are discussed in detail: trends, challenges, and paradoxes. Utilizing practical and academic knowledge, with a strong reliance on real-world applicability, the book will help readers build innovation performance into their companies. Involved since the formation of the idea for the Innovation Exchange (IE) in 1998, Dr Bettina von Stamm is now responsible for the running of the initiative at London Business School (LBS). She organises and facilitates the varied activities of the IE, including workshops, other events and research projects. With a first degree in architecture and town planning, an MBA, and a PhD (The Impact of Context and Complexity in New Product Development) from LBS, Bettina has developed an expertise in innovation, design, design management and creativity. Bettina has developed a set of ten case studies, sponsored by the Design Council, which form the basis for an MBA elective course on innovation and design at London Business School. Bettina has also taught on the distance learning MBA in Design Management for the University of Westminster and carried out a variety of consulting, research and training projects with clients such as the BBC, IDEO, Ford, SKF and Ernst & Young International. Bettina is author of the forthcoming book Managing Innovation, Creativity and Design (John Wiley & Sons). Sink or swim - Introduction. 1. Gauging the sea - understanding where we are. The current status of innovation - a view from the Innovation Exchange. 2. Rising tides - establishing an urgency. The rapids of change - Gary Hamel, Strategos. 3. Fishing where the fish are - the need to focus. Throwing a brand a lifeline - P-Y. Gerbeau, former CEO of the Millennium Dome in London. Walking on water - how to win by breaking the rules - Costas Markides, London Business School. 4. Riding the wave - how to make it happen. The role of market research. Keeping innovation afloat - innovation as a cycle of tension and tranquillity - Stephen Moon, GlaxoSmithKline, and Ben Bryant, London Business School. 5. Riding on the crest of the wave - how to stay on top. Finding the fish and aligning the fleet - making innovation an everyday capability - Jens Maier and Ian Owen, Zurich Financial Services. The role of the human resource (HR) department. 6. Endless as the sea - innovation challenges.